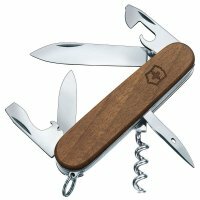 Functional and elegant: traditional Swiss pocket knife with handle scales made from elegant, robust walnut wood. 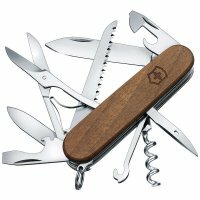 Depending on the model, the knives are equipped with 10 or 13 tools. Rustproof.